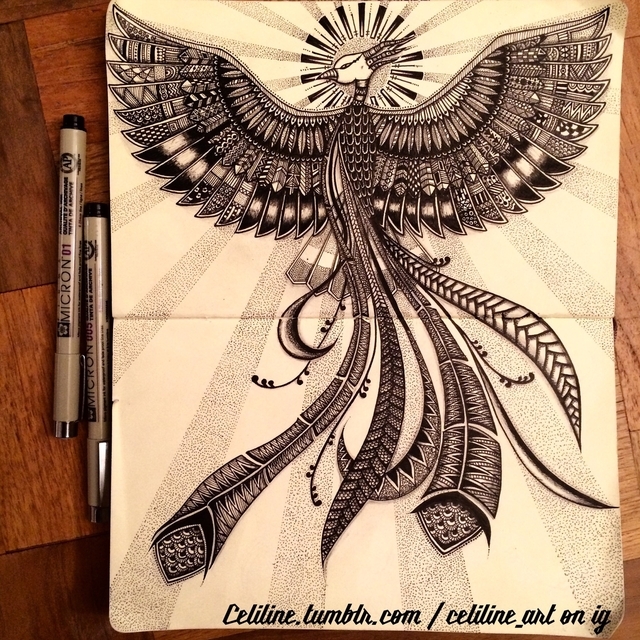 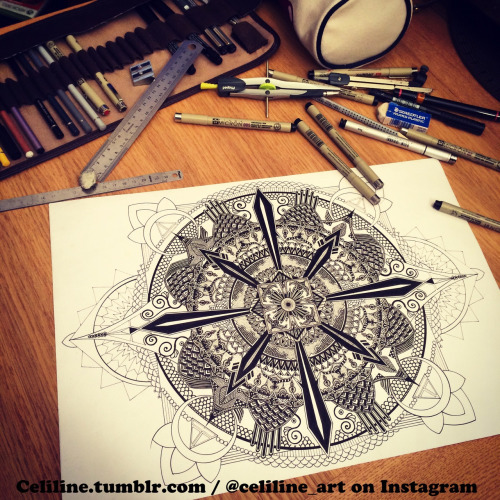 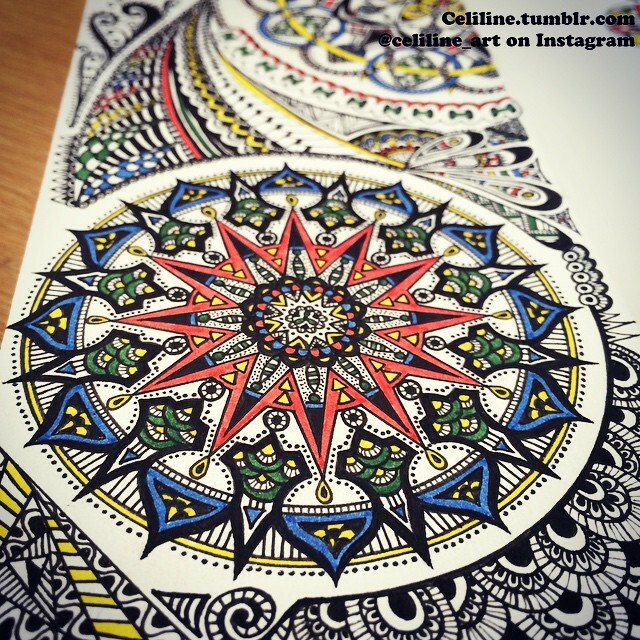 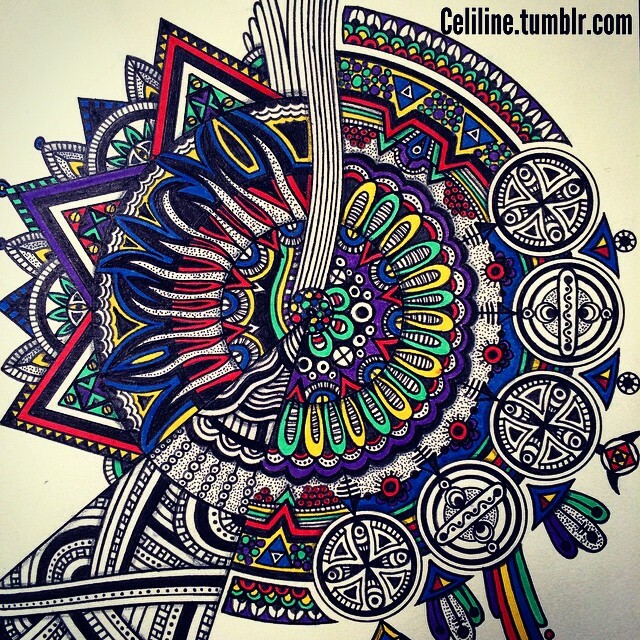 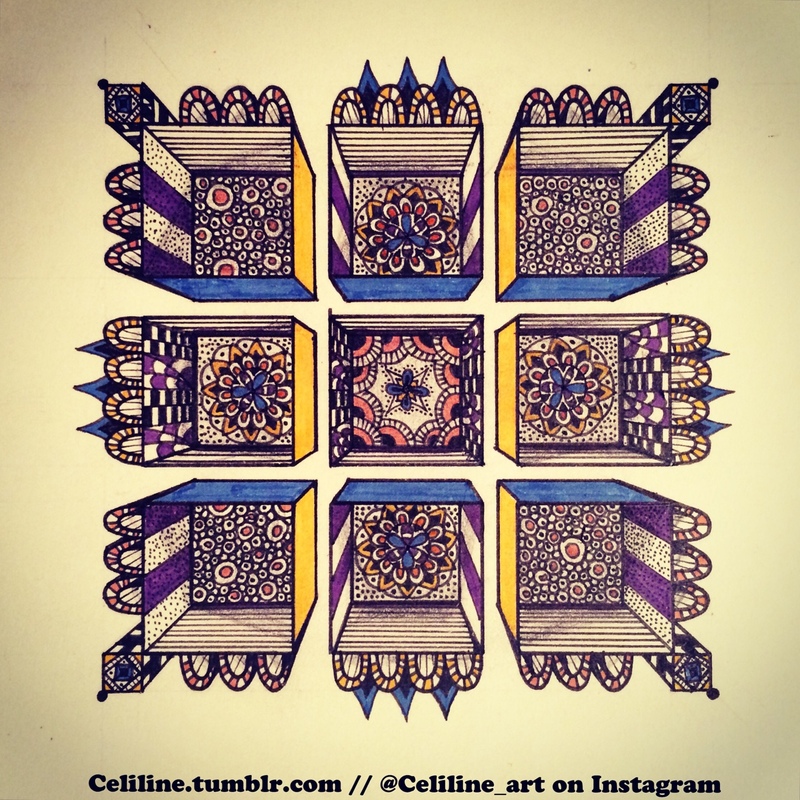 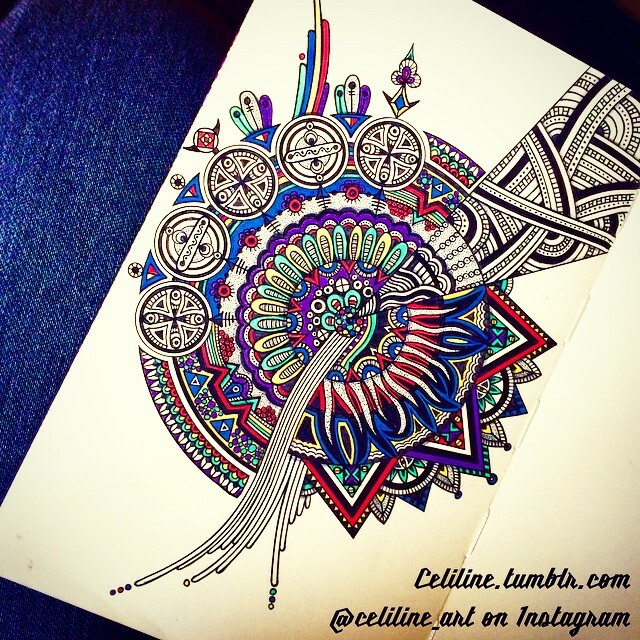 French Artist Celiline describes herself as a non professional Artist, that said she would love to make this love of hers into a full time job. 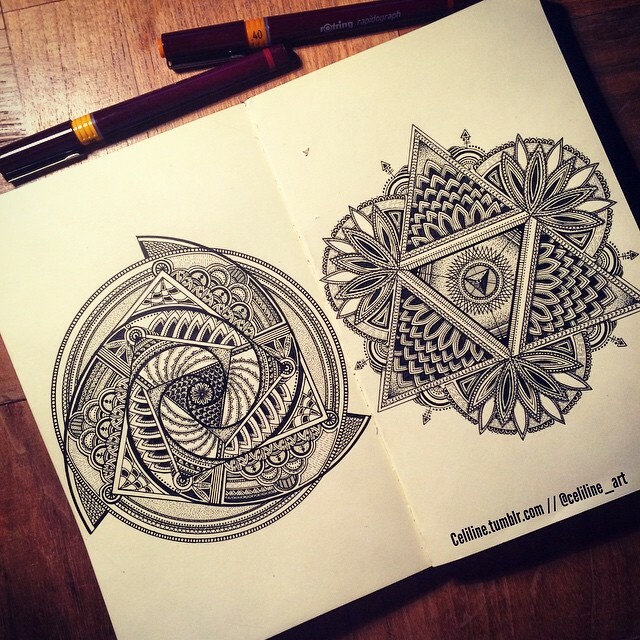 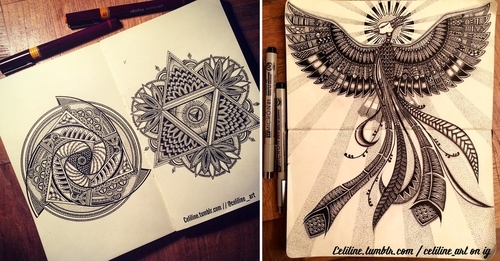 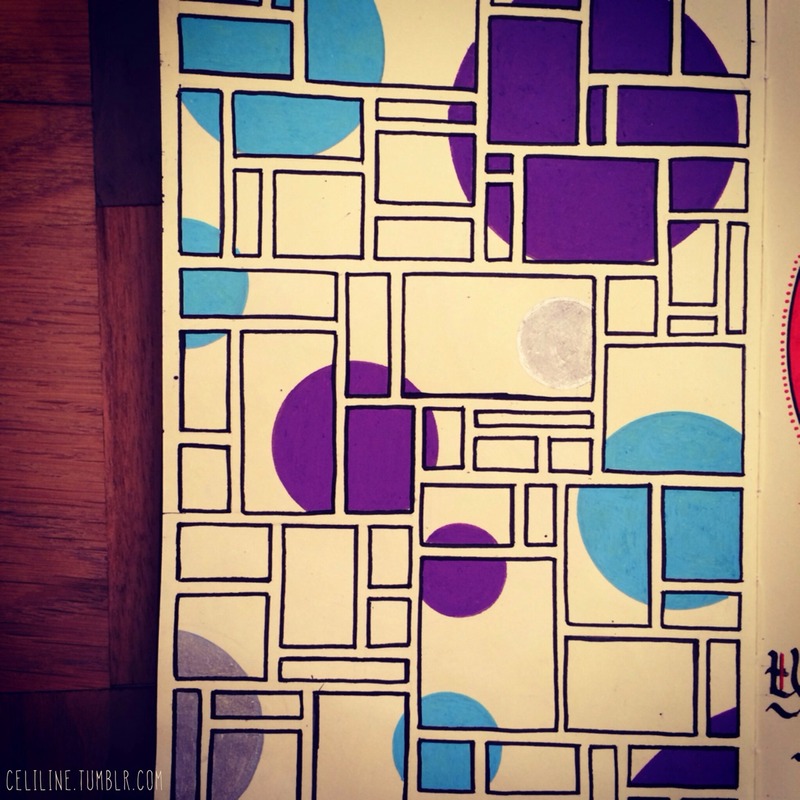 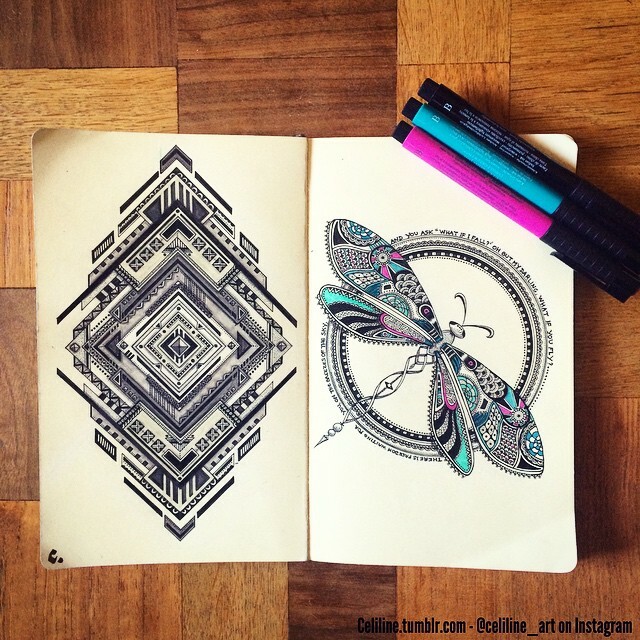 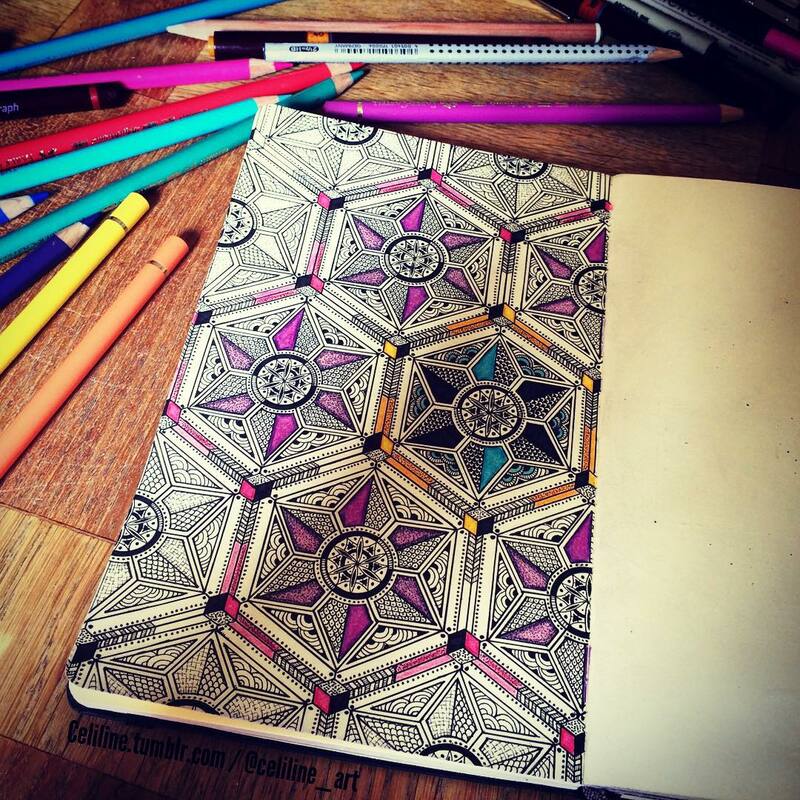 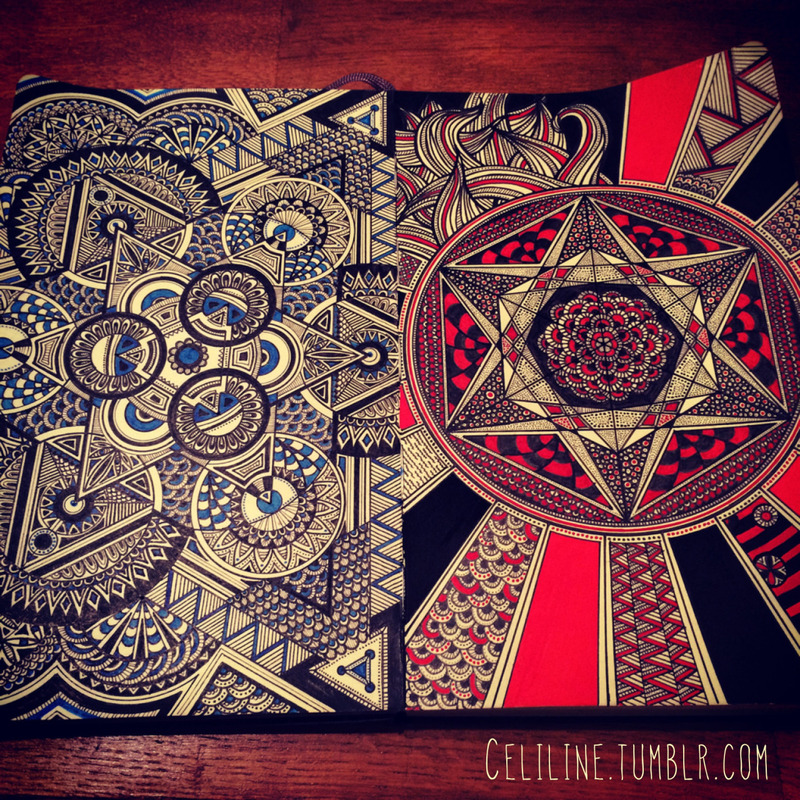 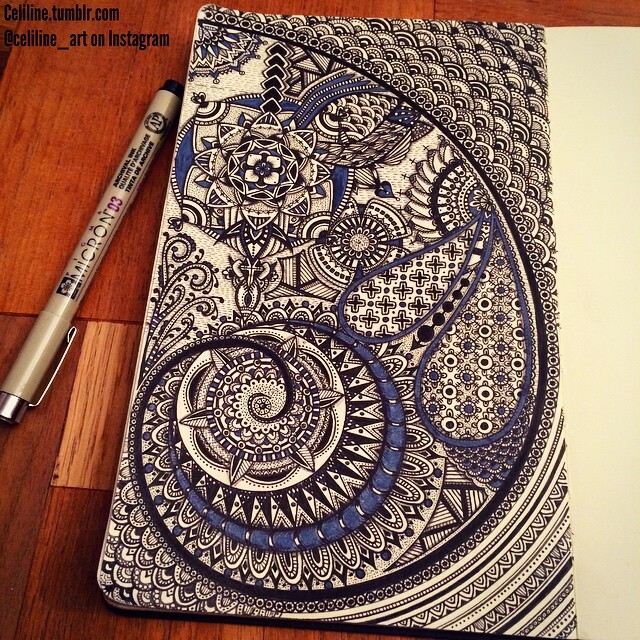 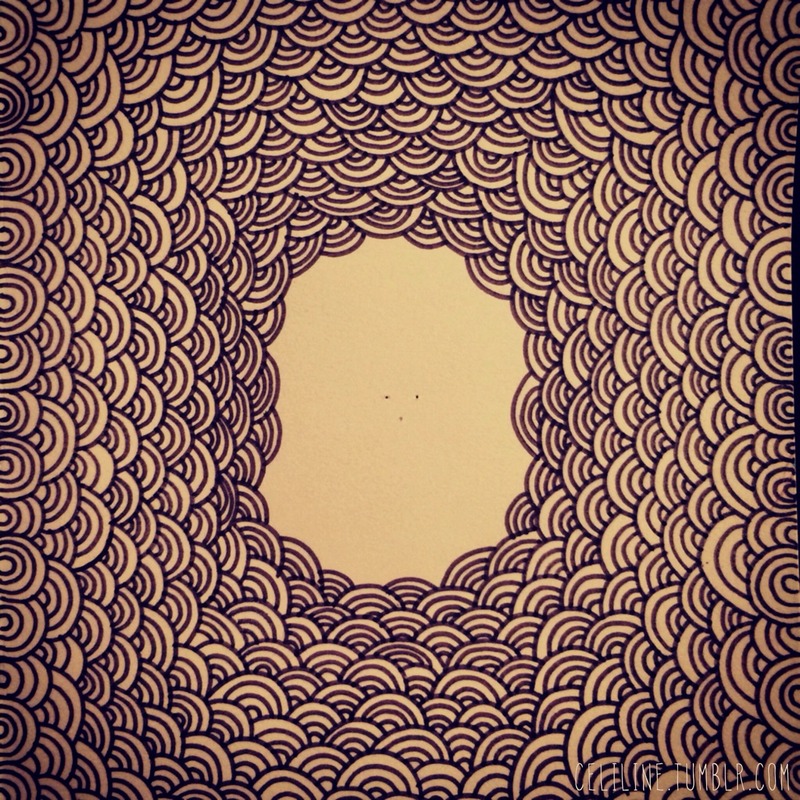 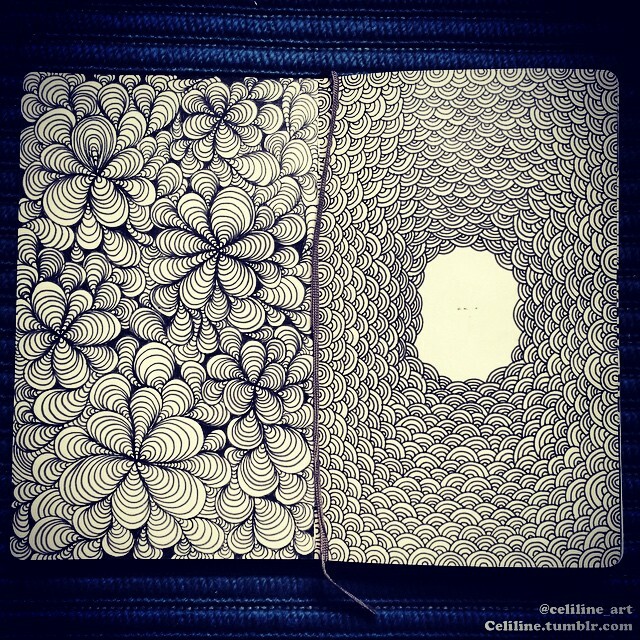 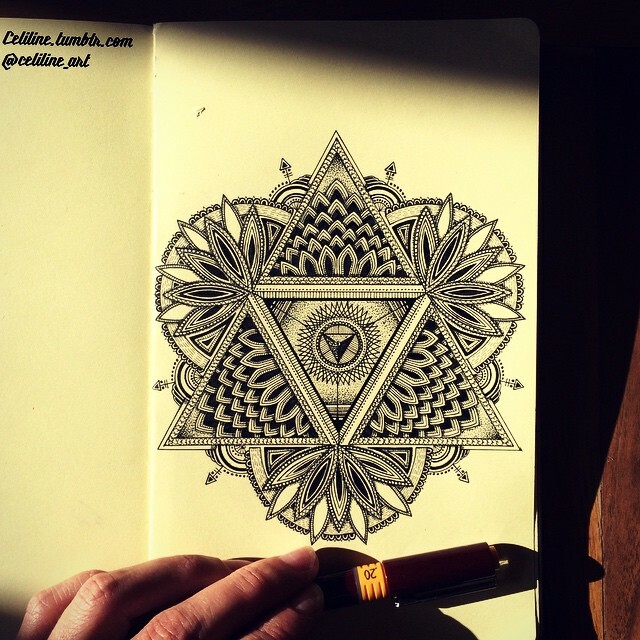 She uses her Moleskine book to produce Illustrations, Doodles, Drawings and Zentangles. 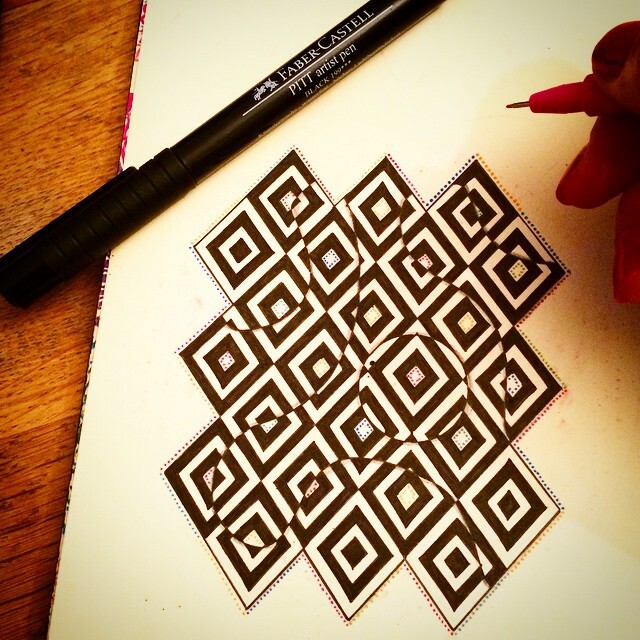 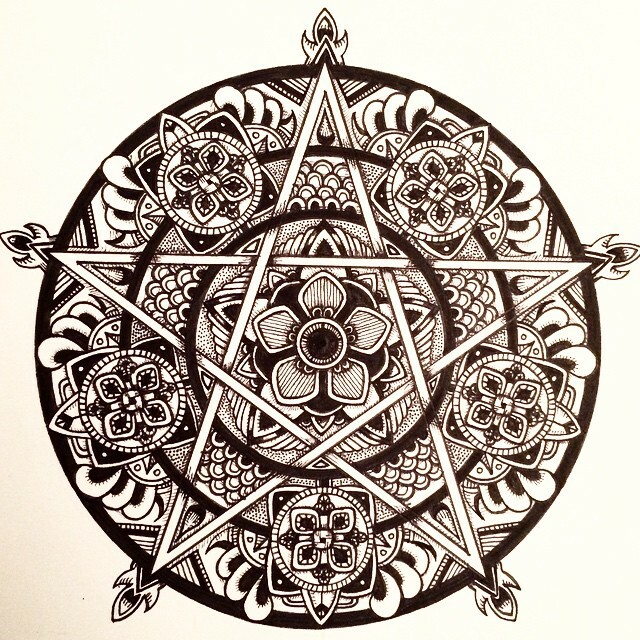 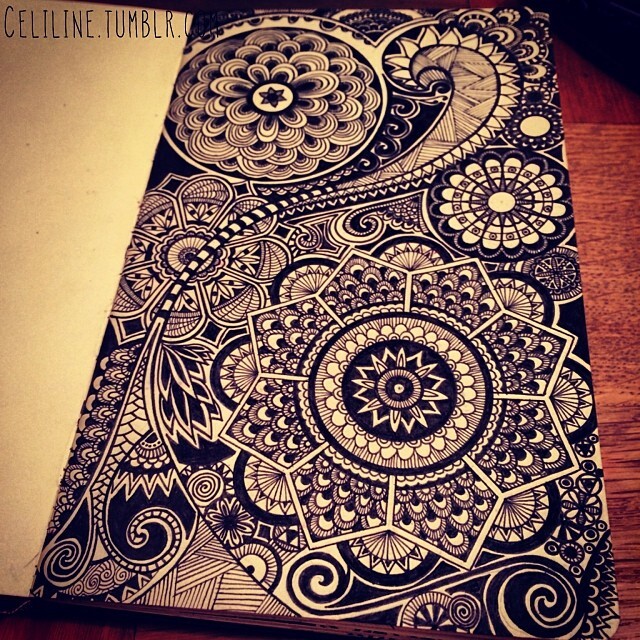 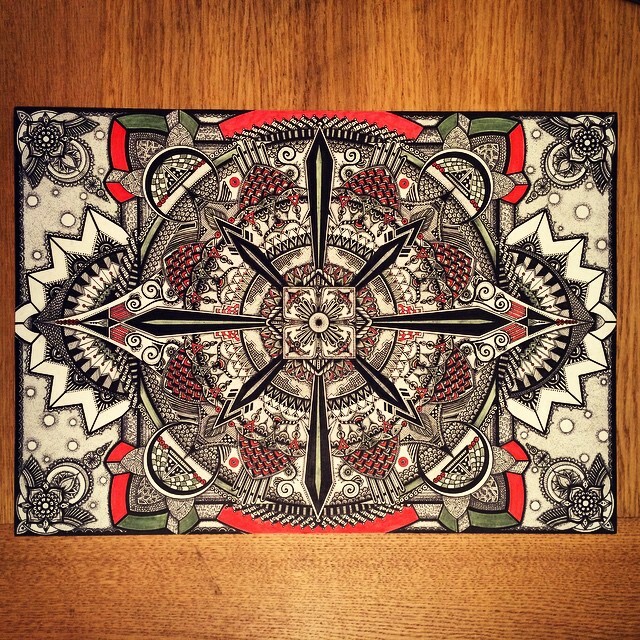 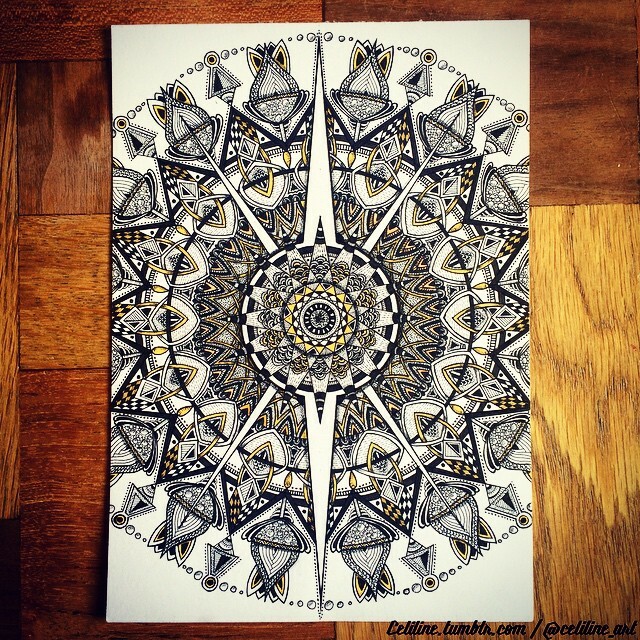 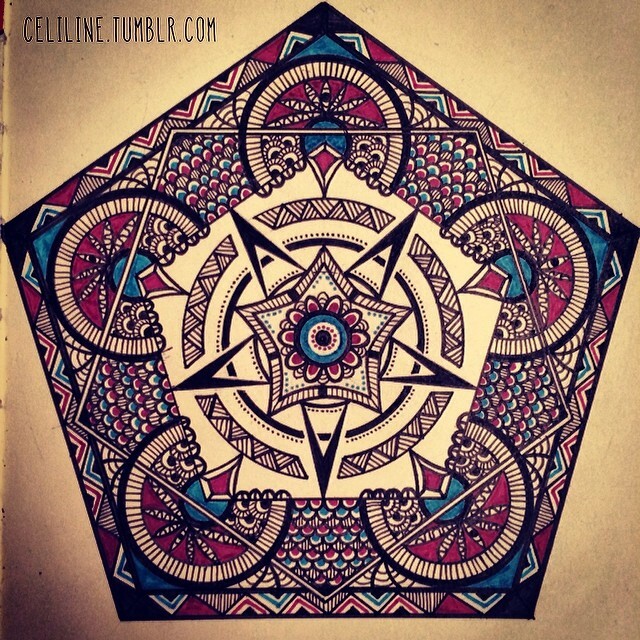 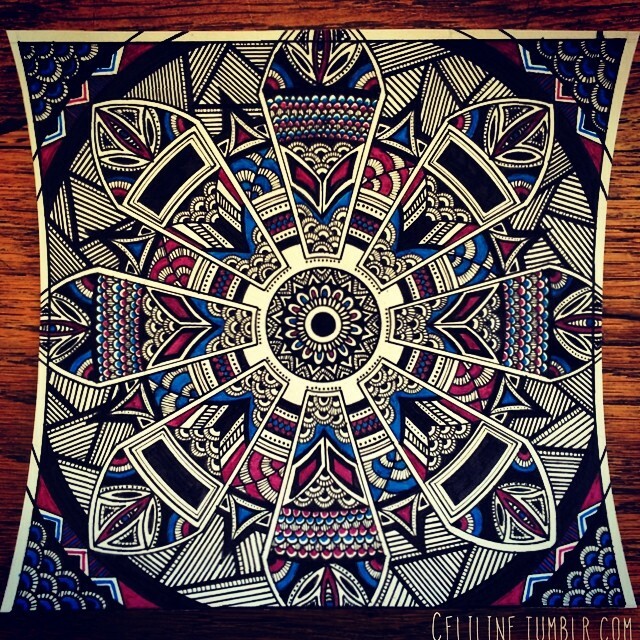 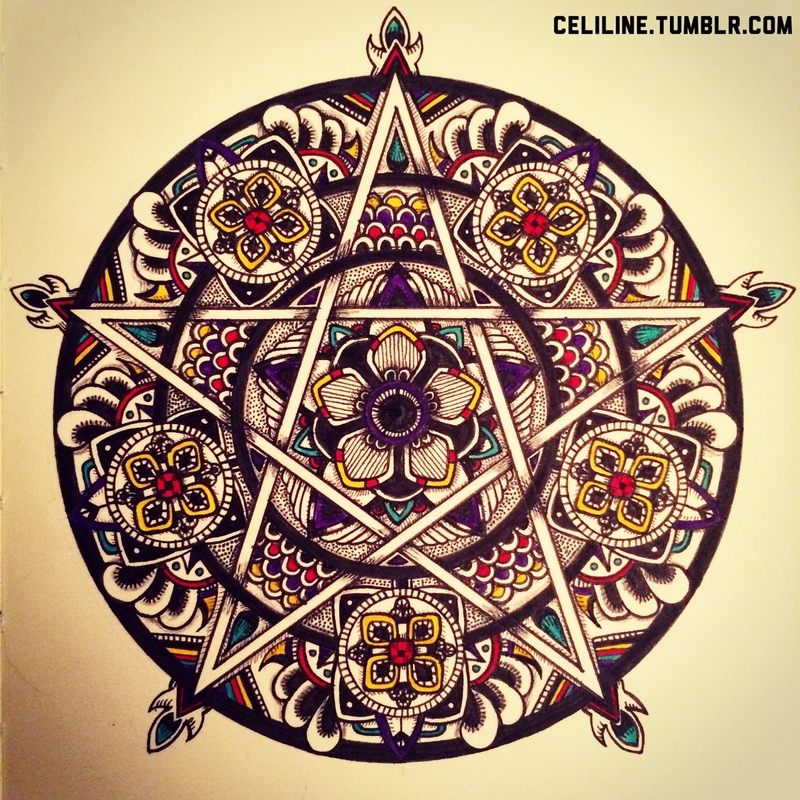 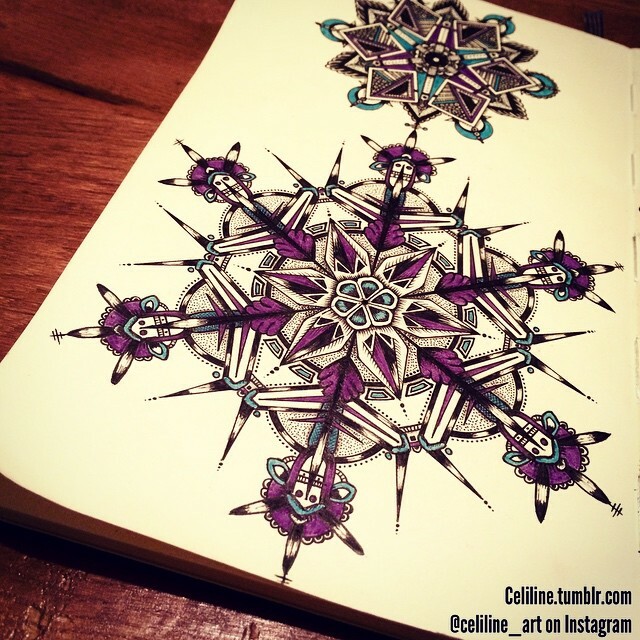 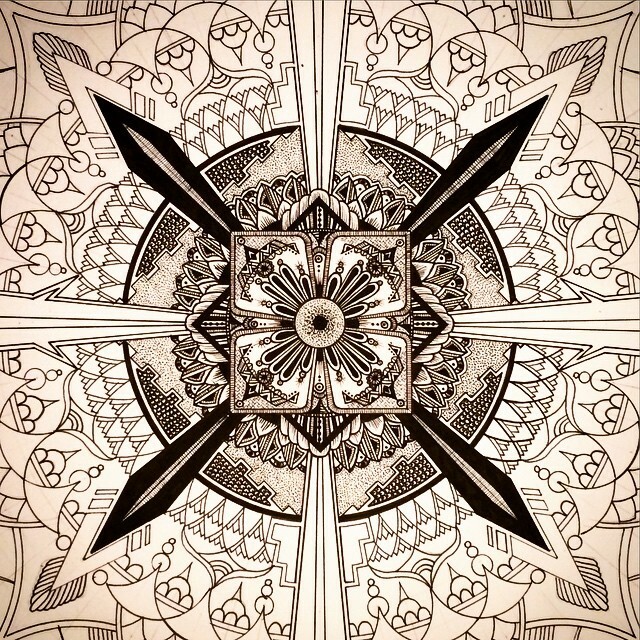 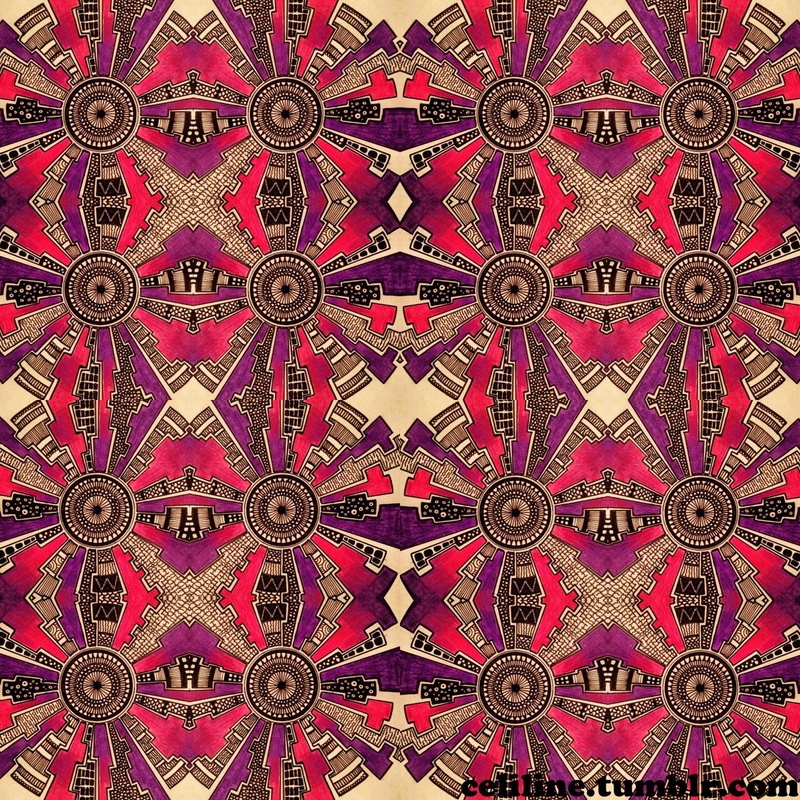 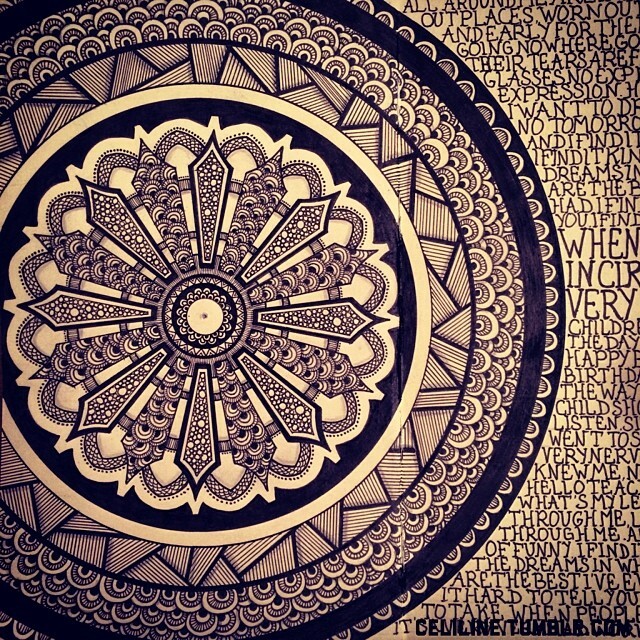 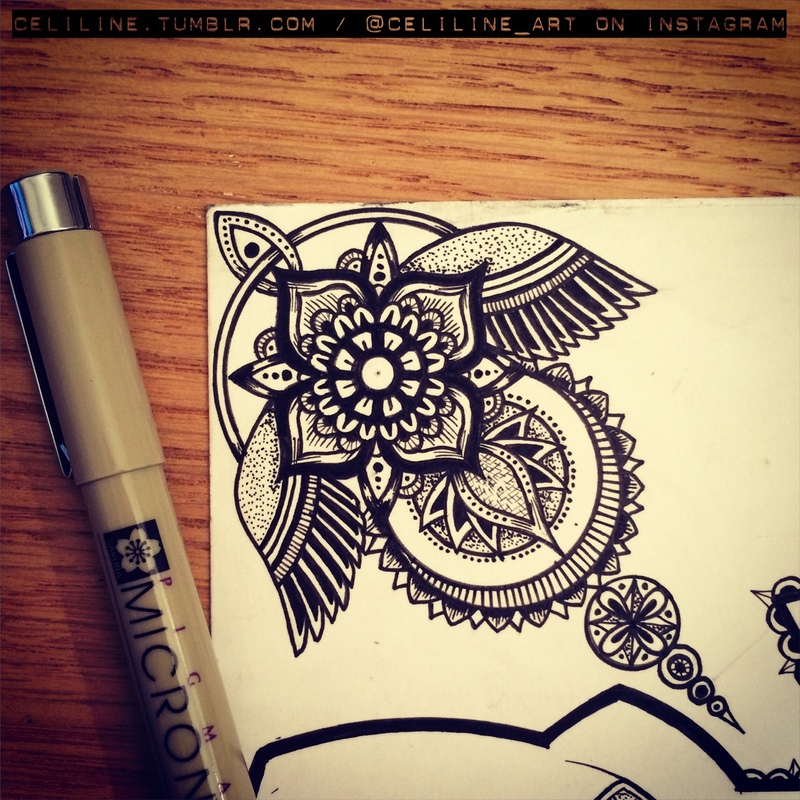 Zentangles are attained by repeating patterns to create an overall design. 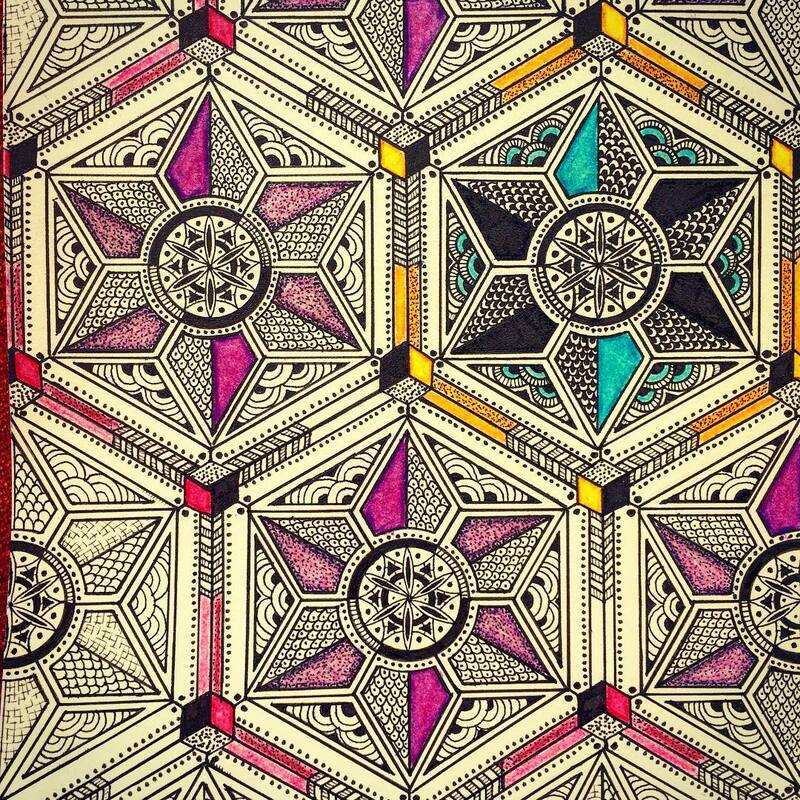 These drawings are becoming very popular, not only their production, but also the colouring-in, that is seen as relaxing and distressing, sometimes used as a therapeutic tool.